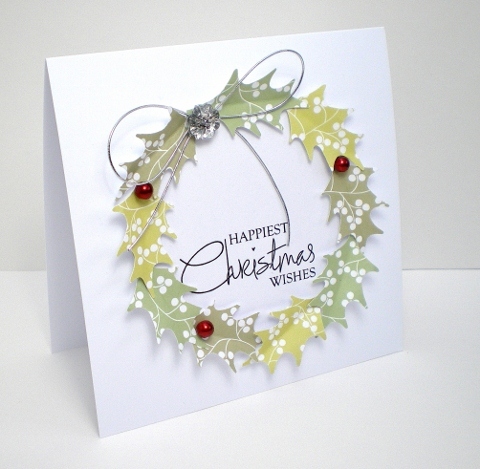 Oooohhh I do love your style of cardmaking . . . so envious. Hope all is well with you and glad you enjoyed your QVC day. OOh this is just lush, did you hand cut the holly or do you have a punch? Great card Vicky and by the sounds of things you had a great day yesterday too..lucky you! What an awesome day out, how cool! I love this card Vicky -it's so classic! Here's to plenty more trips to QVC together!! This is just beautiful too Vicky, I need that digi paper as well! !